This newly remodeled chalet is located close to the Nevada State Line. For the vacationer that wants to have a little of everything, snow skiing, beaches, restaurants, shopping, and gambling, this is a great location. You are only one mile to the Nevada State Line and the town of Kings Beach. North Star Ski Resort is approximately fifteen minutes away. The house has three bedrooms and two full bathrooms, with a jacuzzi tub in the upstairs bathroom. You will have a partial view of Lake Tahoe from the master bedroom and living room. The master bedroom has a cozy little patio where you can sit and soak up the sun or just relax and read a good book. Access in the winter may need a four-wheel drive or good snow tires and chains at times. 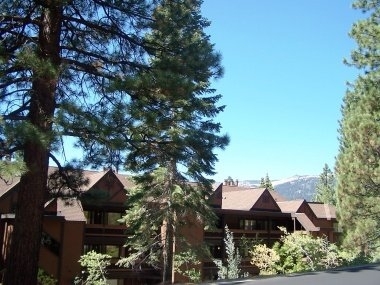 This home is a great value for your vacation in Tahoe. Please Note: This home does not allow smoking on property whatsoever, neither inside or outside. 2 sleeps in bedroom, additional 2 accommodated on Murphy bed.